The nature of watching television has changed dramatically with each successive generation. The VCR and more recently the PVR/DVR have allowed consumers to record shows to watch later. Streaming online video through services like Netflix have taken this one step further, but they all charge a monthly fee. Offering a no-cost alternative with a rapidly growing library of programming is Crackle, an online service available in North America, South America, Central America and Australia. 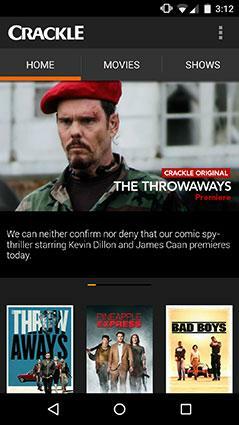 Backed by Sony Pictures Entertainment, Crackle is an online video streaming service that is similar in scope to services like Amazon Instant Video and Hulu Plus. Users can access a variety of movies, TV shows and original programming through a range of web-connected devices. The most important difference that separates Crackle from nearly all other streaming services of this kind is that it does not charge any monthly fees whatsoever. Instead, the video streaming service is ad-supported with commercials being shown before, during and after the television show or movie. The only exceptions to this are Sprint TV and T-Mobile TV, which cost $5.95 per month plus a data plan, but this variation is ad-free. No Crackle programming is available in high-definition. The Crackle library, while continually growing, may not be as recent as some paid alternatives. However, it does contain a range of movies and television shows that span multiple genres and release dates. There is a great selection of Japanese anime too. In addition to content from Sony itself, Crackle has also partnered with FOX Digital, Lionsgate, Universal Studios, Columbia Pictures, TriStar Pictures, and Entertainment One, among other studios and content partners. 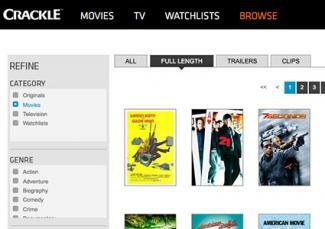 Crackle features a number of films in such genres as science fiction, thriller, comedy, horror, drama and action. Most titles are from within the last 20 or 30 years. Underworld: Rise of the Lycans: The third installment in the Underworld series, Rise of the Lycans is a prequel describing the origins of the Vampire vs. Lycan war. Kate Beckinsale returns to narrate the story as Selene. Pineapple Express: Seth Rogen and James Franco star in this comedy about a white collar worker and his marijuana dealer as they run away from a drug boss. 50 First Dates: This 2004 romantic comedy features Adam Sandler dating a girl with short-term memory loss, resulting in the titular number of "first dates." Boyz N The Hood: The iconic John Singleton crime drama depicts the coming of age stories of boys growing up on the tough streets of urban Los Angeles. The Quick and the Dead: Sharon Stone plays the only female competitor in a fatal quick draw tournament in the Old West. 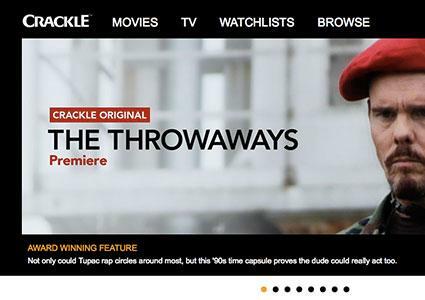 There are only about 30 TV titles included in the Crackle collection. Several of these are comedies and anime. Married with Children: The popular sitcom from the 90s follows the life of a shoe salesman and his family in Chicago. Initial D: This Japanese animated series features intense street races with fast cars around the mountains of Japan. Marvel Anime: Ironman: This cartoon takes a distinctly anime-style approach to the Marvel superhero. Shark Tank: Hopeful entrepreneurs pitch their business ideas to moguls in hopes of receiving funding and investment. The Shield: Starring Michael Chiklis, this LA crime drama explores police officers who aren't afraid to break the rules. Just as Netflix has original programming, Crackle has also invested in exclusive TV shows and movies of its own. Comedians in Cars Getting Coffee: Jerry Seinfeld drives classic cars with his comedian guests as they discuss a variety of topics. Extraction: This 2013 movie follows an American Black Ops soldier as he tries to escape a maximum security prison. Sports Jeopardy! : The classic trivia show takes on a twist with a new host and a focus on sports questions and answers. Issues: A comedy web series with Seth Green, Issues features a disgruntled psychologist with strange animated clients. Playing It Forward: Famous artists and musicians perform in a "busking" style to raise money and awareness for charity. Crackle works on a variety of devices. The list of supported platforms has been steadily growing since Crackle first launched its online streaming service. The support typically comes in the form of a dedicated app. Get the most out of Crackle and overcome technical issues you may encounter by keeping these tips and tricks in mind. Register for a free account to maintain a watchlist of shows and movies you want to watch. Look for the RSS feed icon next to your favorite shows to subscribe to their feeds. This way you'll be informed when a new episode is available. 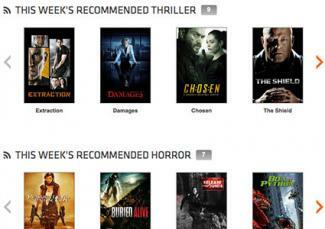 Check the New This Month Recommended Watchlist to see what new programming has been added. Keep your Crackle mobile app updated to the most recent version for bug fixes and new features. Ensure your computer is running the latest version of Flash if you are watching through a web browser. Change the parental controls option in your account if you are being blocked from watching R-rated movies or MA-rated television shows. Crackle is certainly not without its shortcomings. However, the fact that Crackle is completely free and legal makes it an indispensable source of entertainment at home or on the go. Users who would like to access a larger and more diverse library, including one that supports HD, are advised to supplement Crackle with additional paid video streaming services like Amazon Instant Video, Hulu Plus and Netflix. 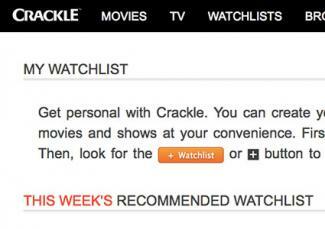 Those who would rather save the money, however, will find a lot to enjoy through Crackle alone.